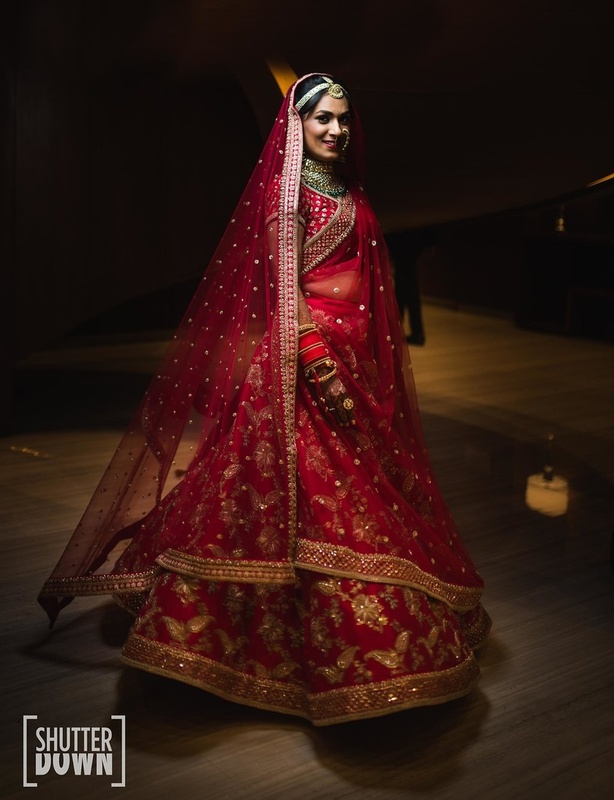 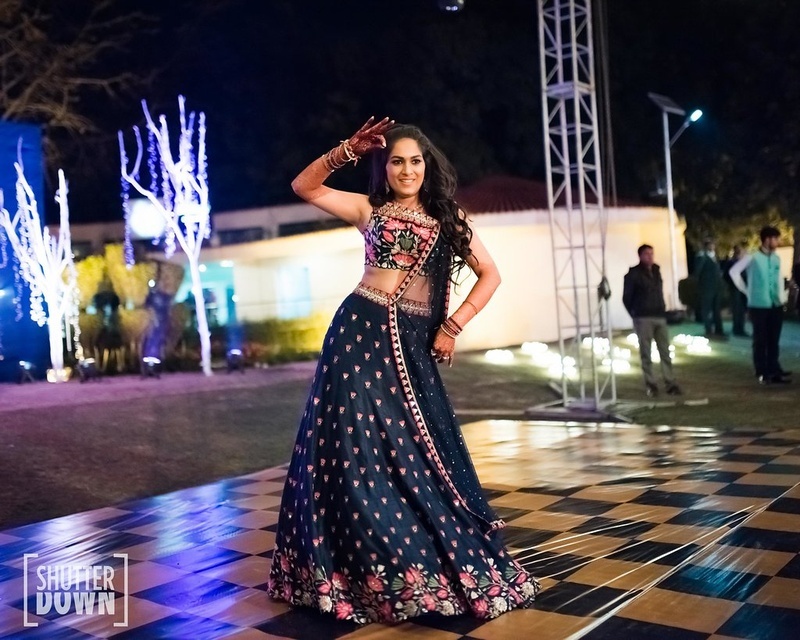 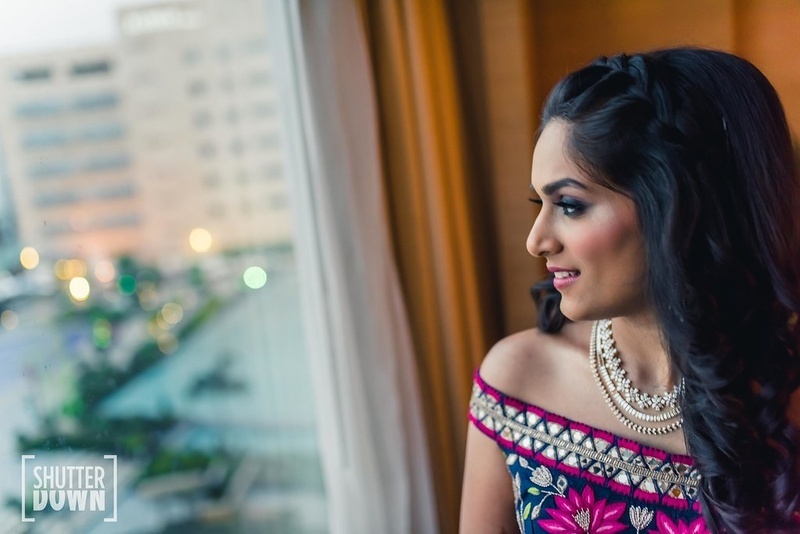 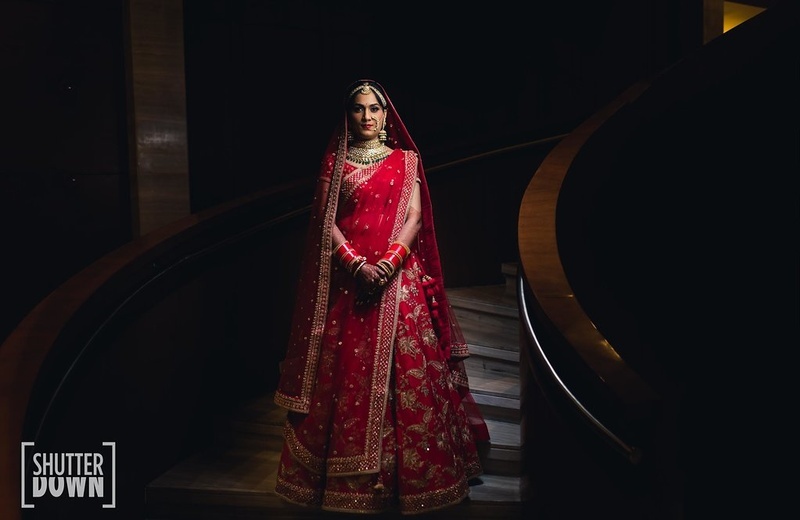 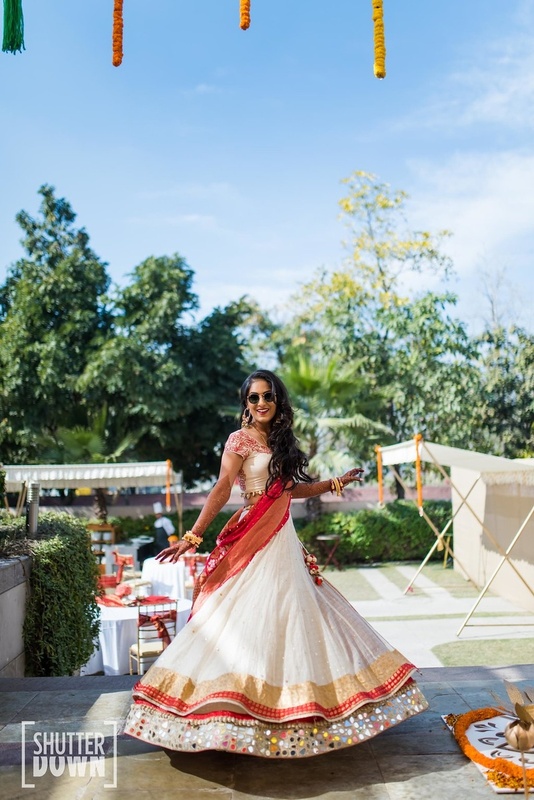 This bride's unique and creative lehengas for her Hyatt Regency, Chandigarh wedding gave us #goals! 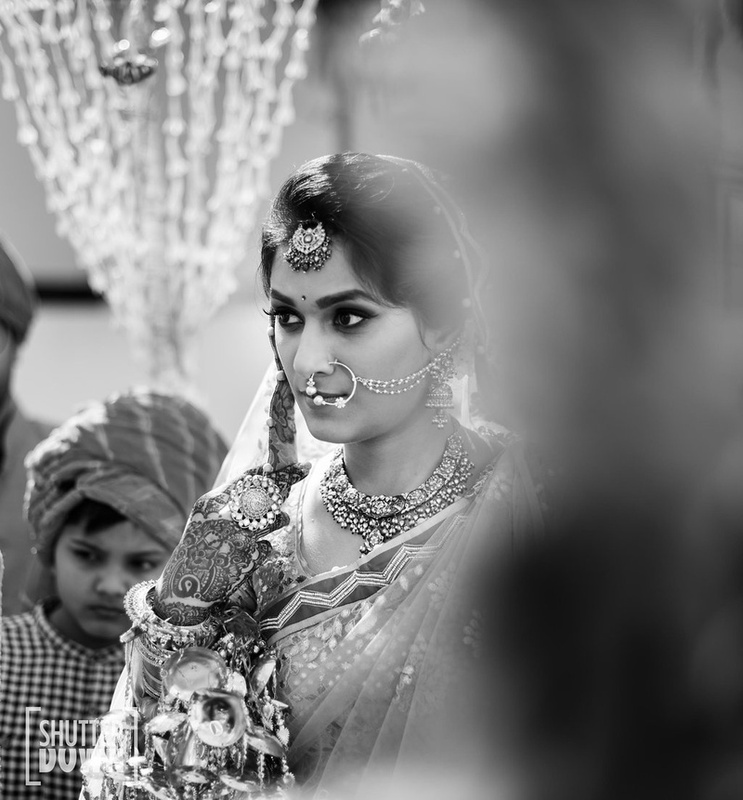 Manhar and Nivritti, just got hitched in the most serene and beautiful wedding at Hyatt Regency, Chandigarh! 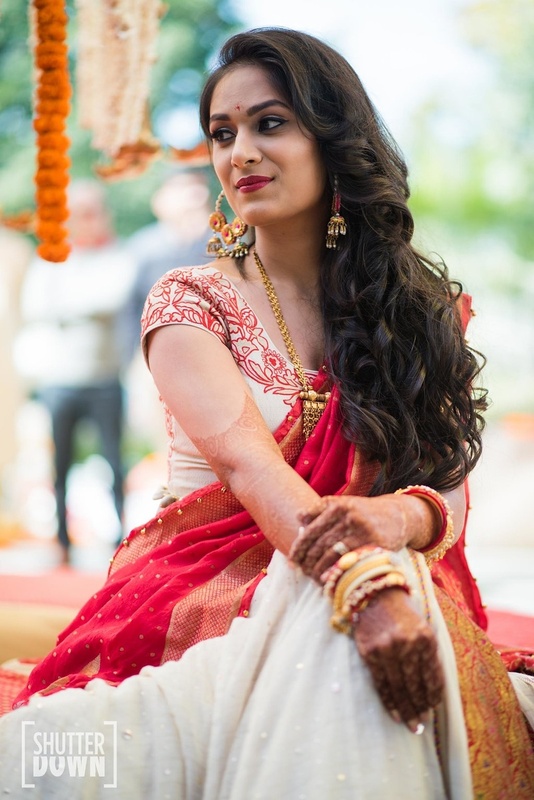 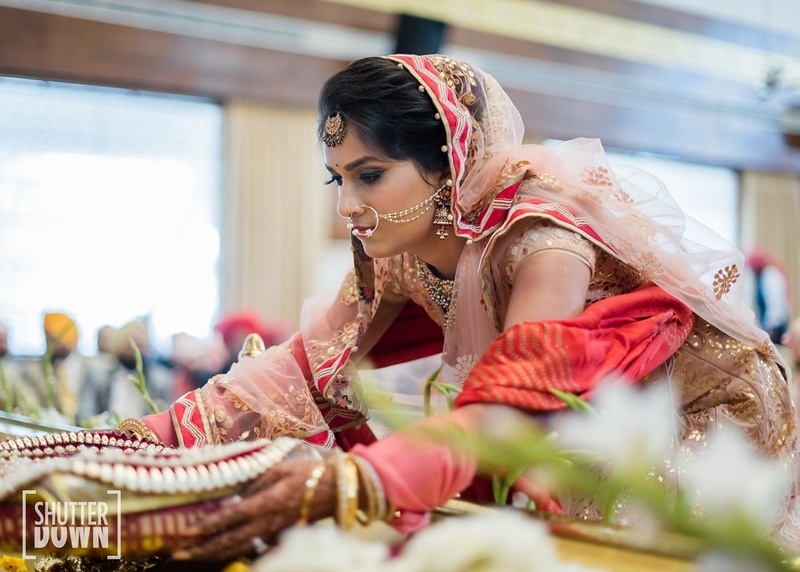 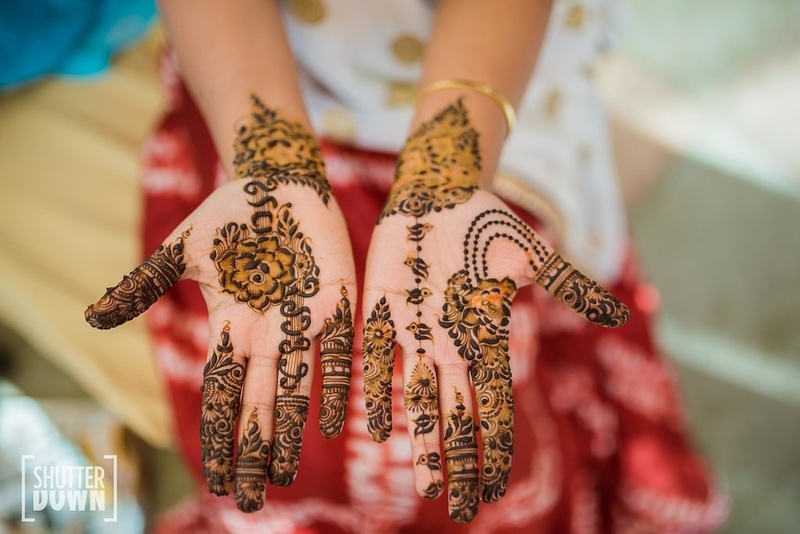 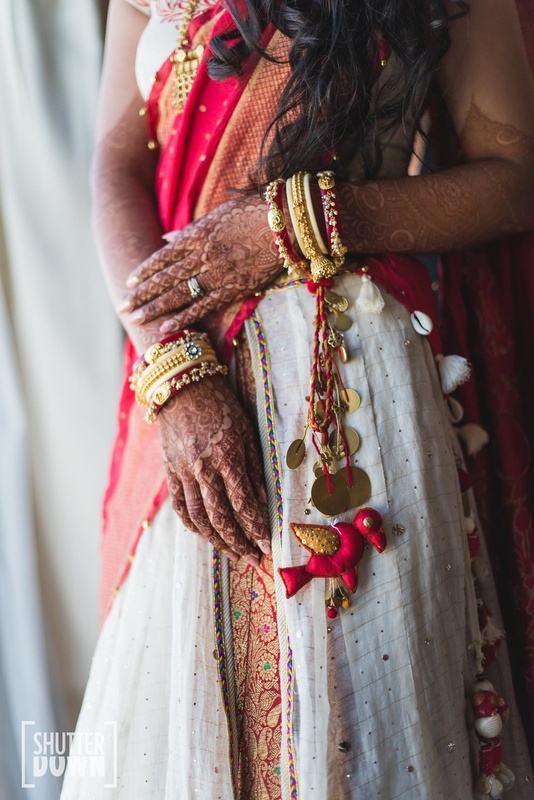 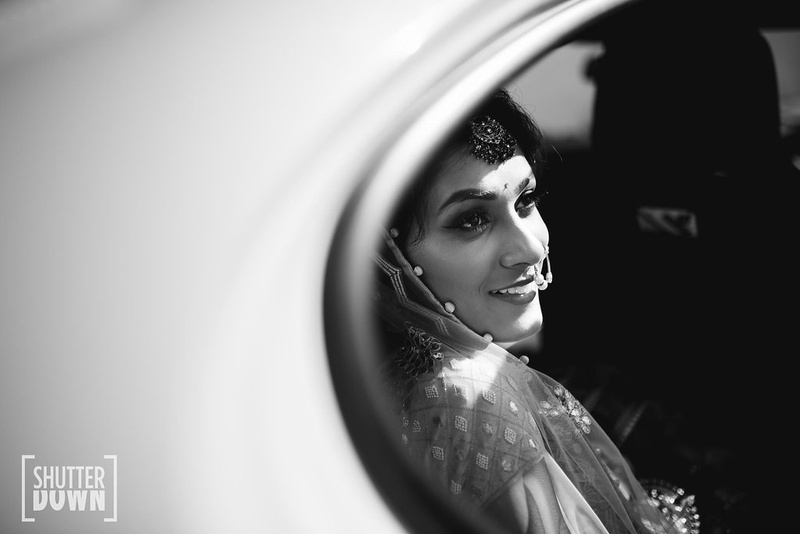 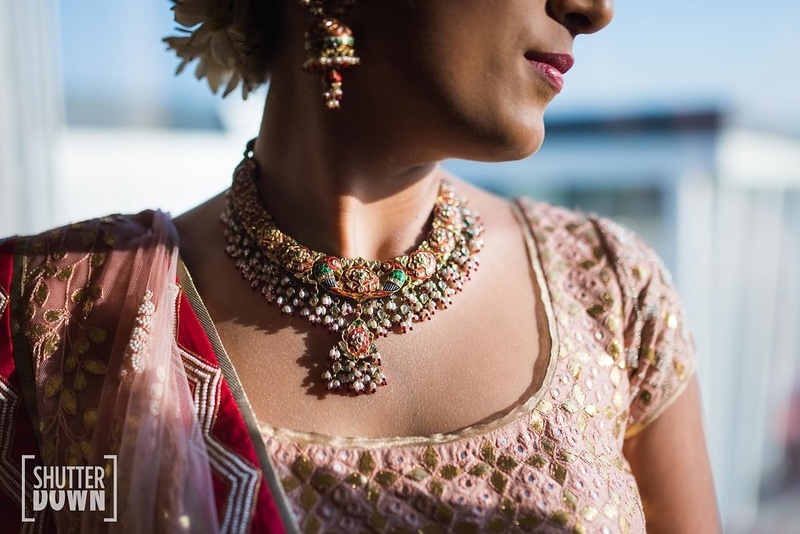 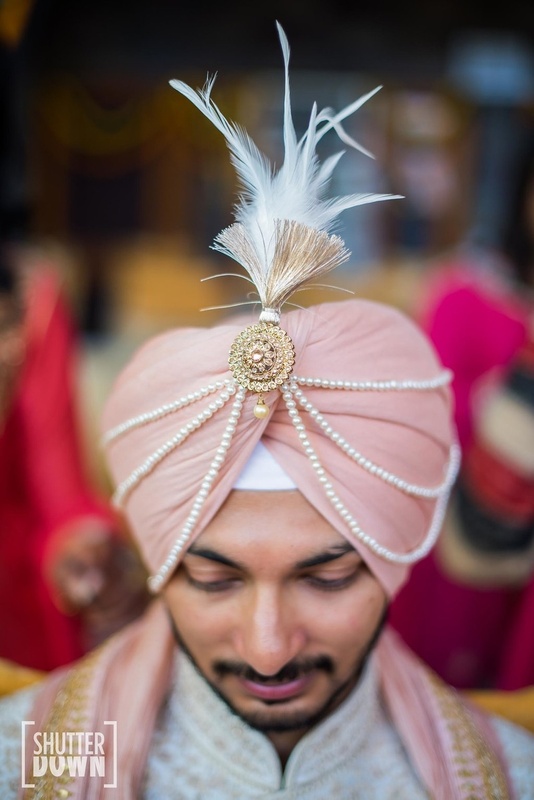 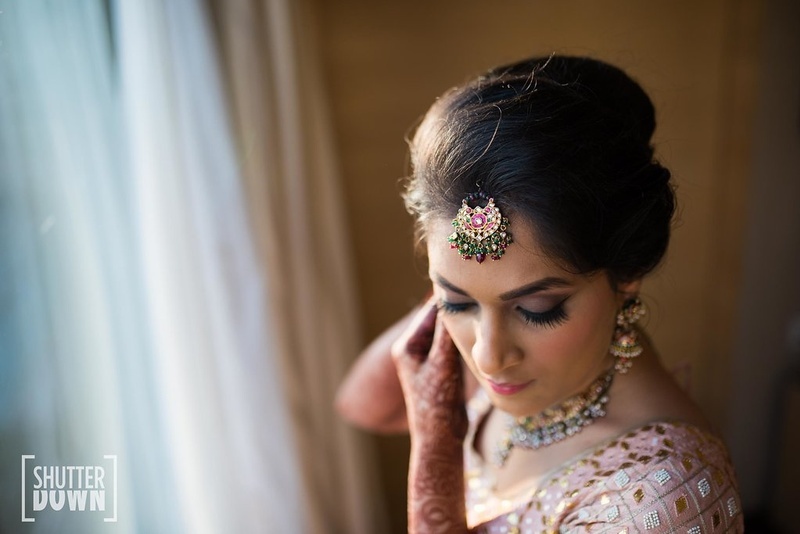 From the bride opting for the most minimal yet persoalised mehndi design we've ever seen to her desiging each function outfit on her own, this wedding has been the quirky right from the beginning. 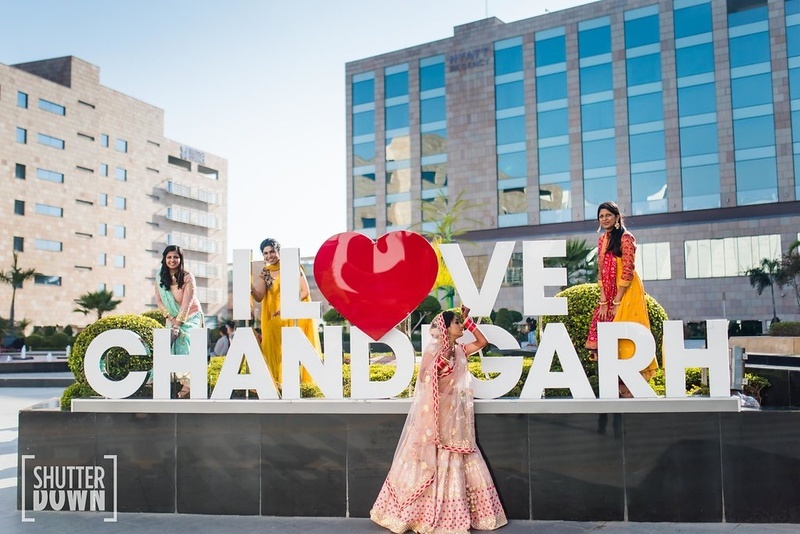 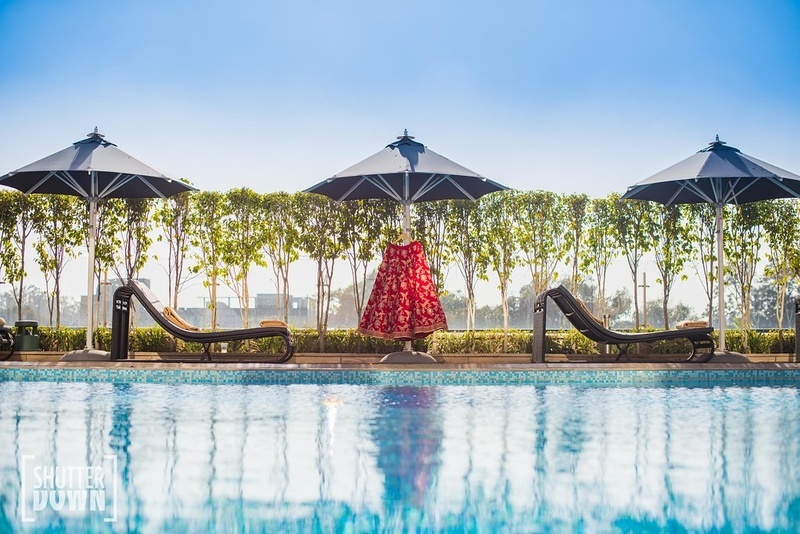 Choosing the itnernational favorite destination of Chandigarh, the couple picked Hyatt Regency for it's perfect blend of classic nostalgia and outdoor luxury. 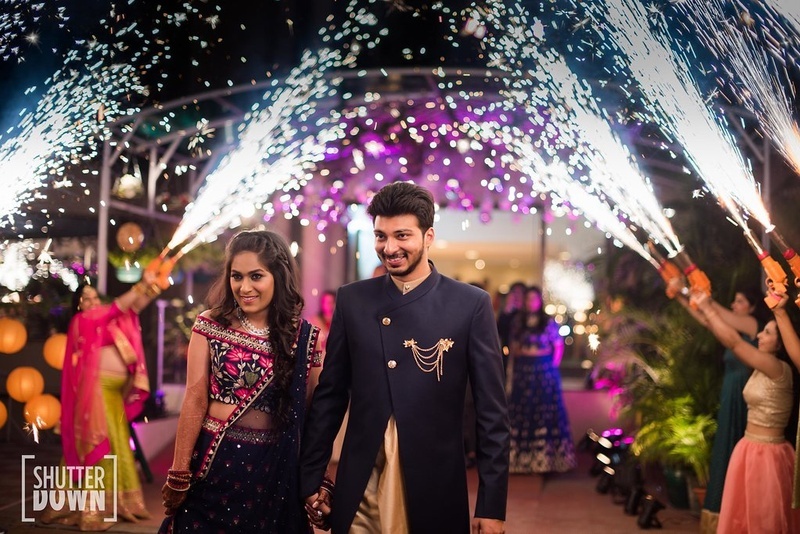 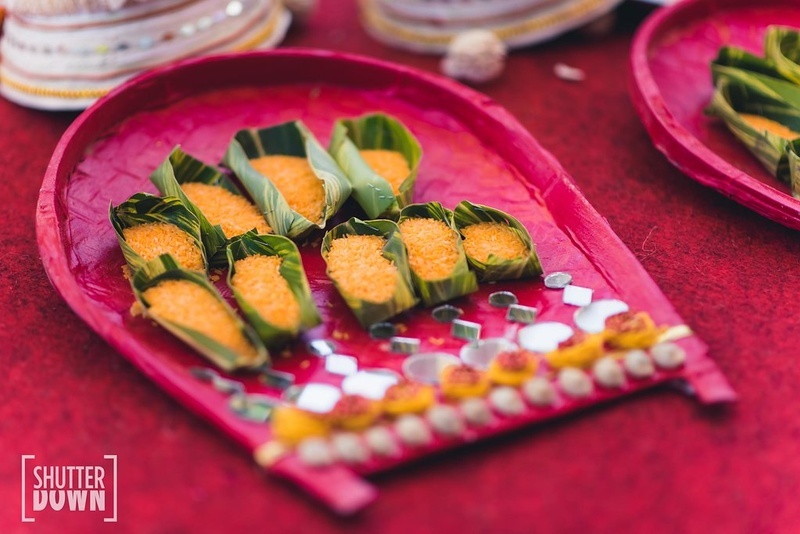 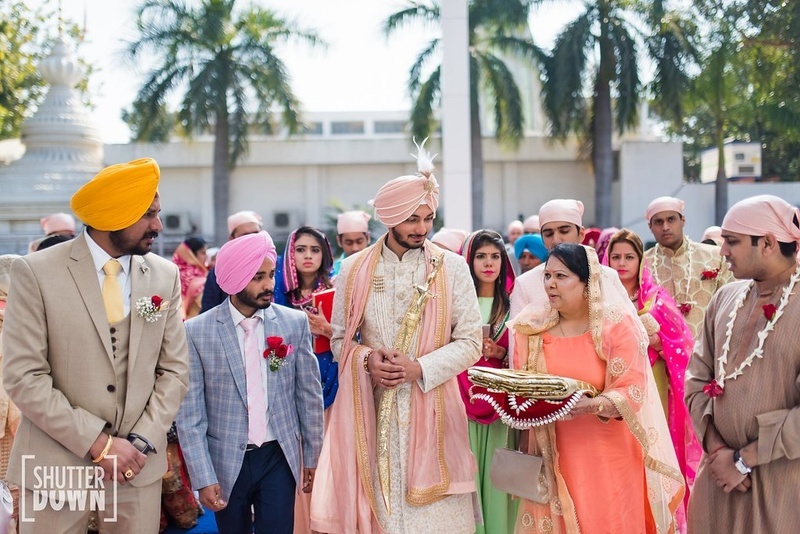 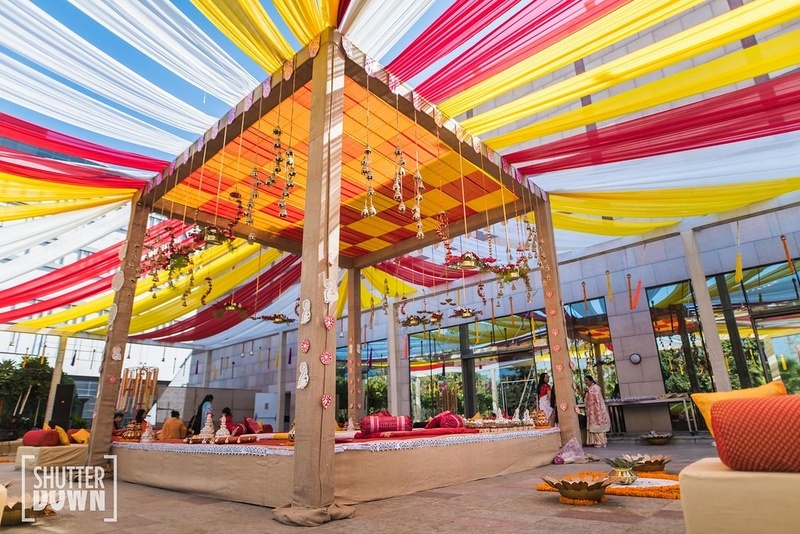 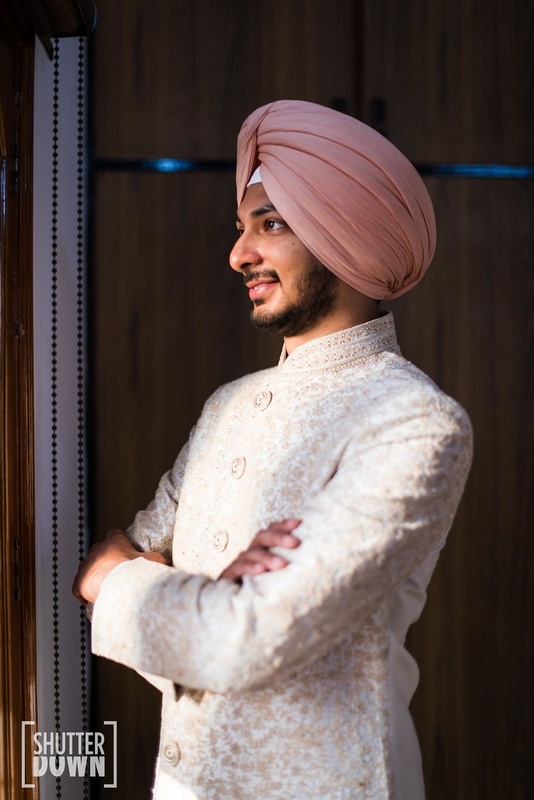 From a heavenly sangeet and outdoor haldi and mehndi functions at Hyatt Regency, the venue provided them with the atmosphere and look that suited the couple. 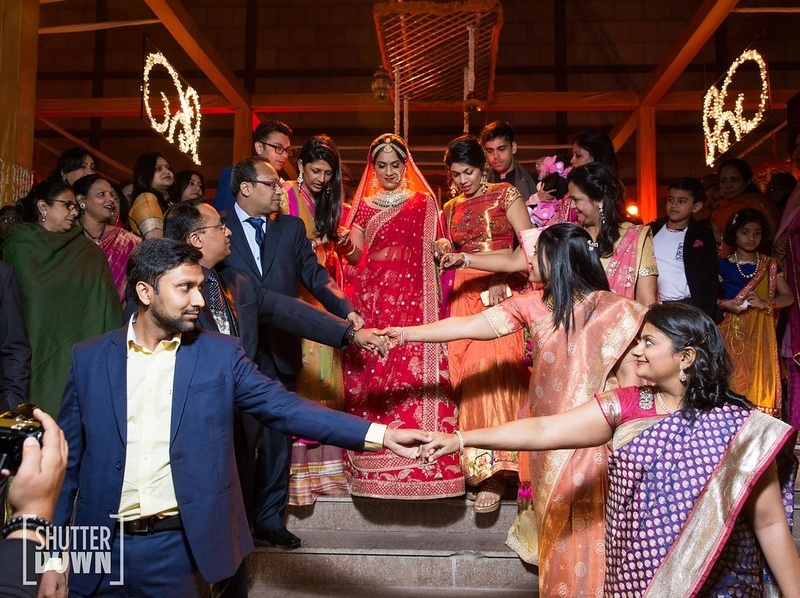 We've seen two people in love, all the time, but Manhar and Nivritti's wedding showed us what two families in love look like! 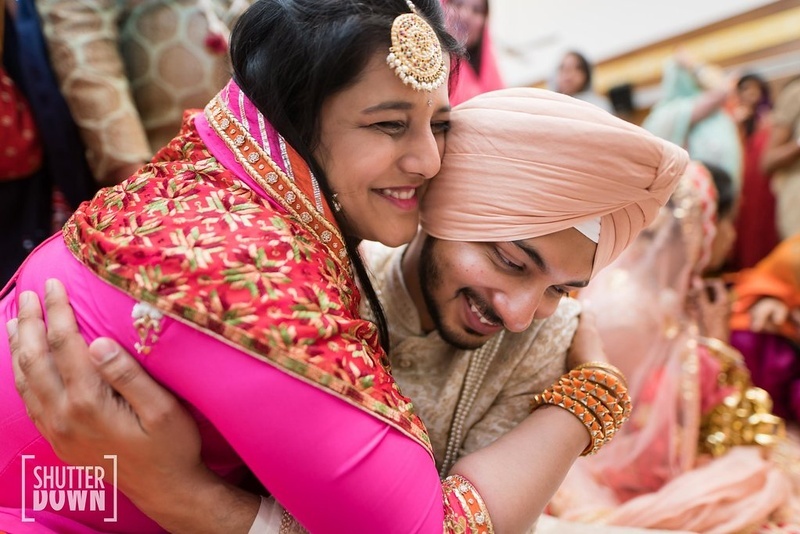 From the two mothers sitting together and admiring their children, to endless ceremonies spent in laughter, we've got gooey and warm vibes all over! 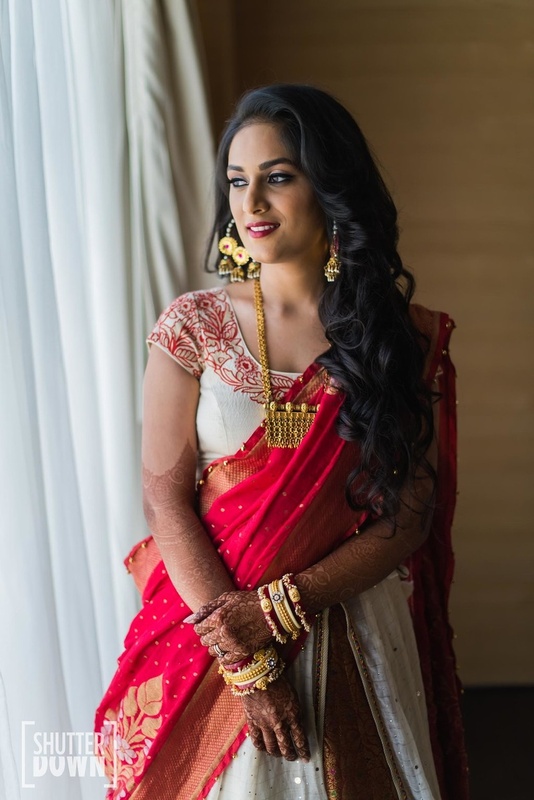 Nivritti says "Manhar and I met in college. 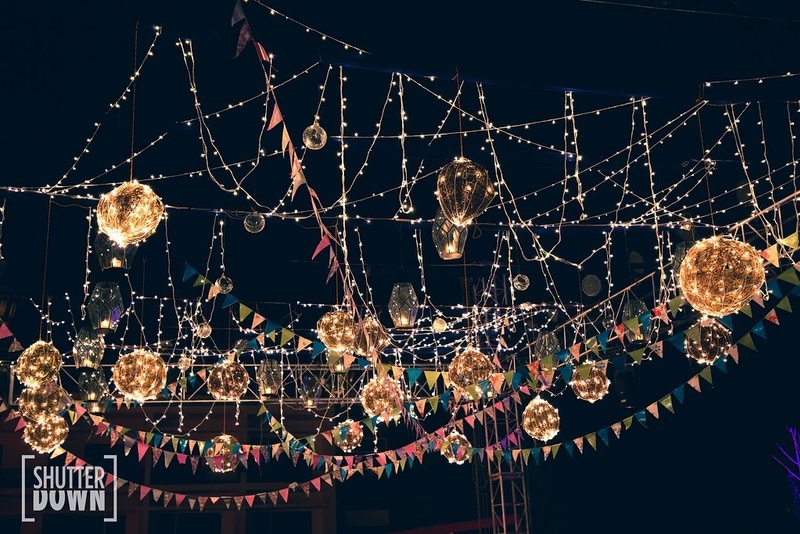 Nobody knows at that stage what forever means. 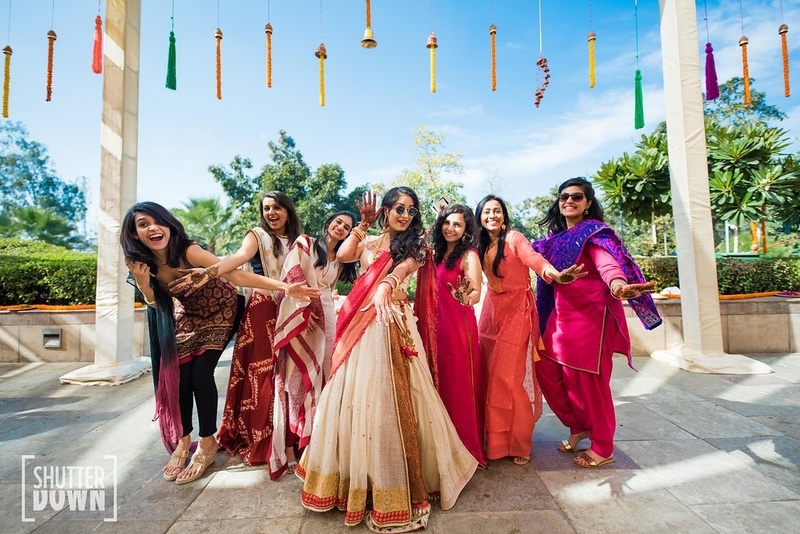 It was when we also ended up working for the same law firm after college that we started taking this seriously." 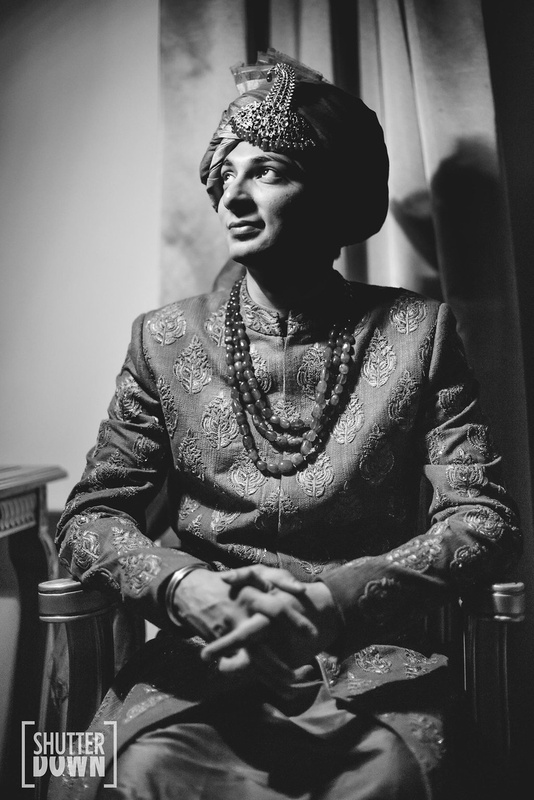 Manhar, the groom, continues, "There wasn't a formal proposal like all the stories we generally see. 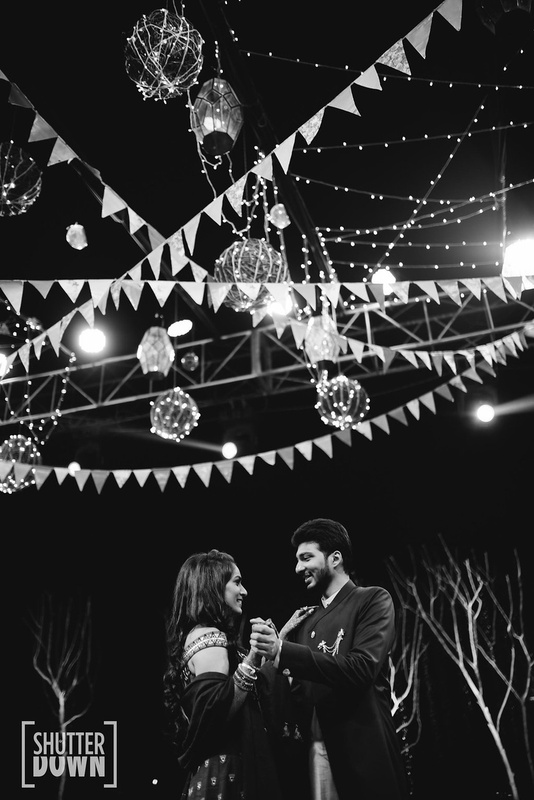 For us, we were so comfortable in our relationship that the next step was natural. 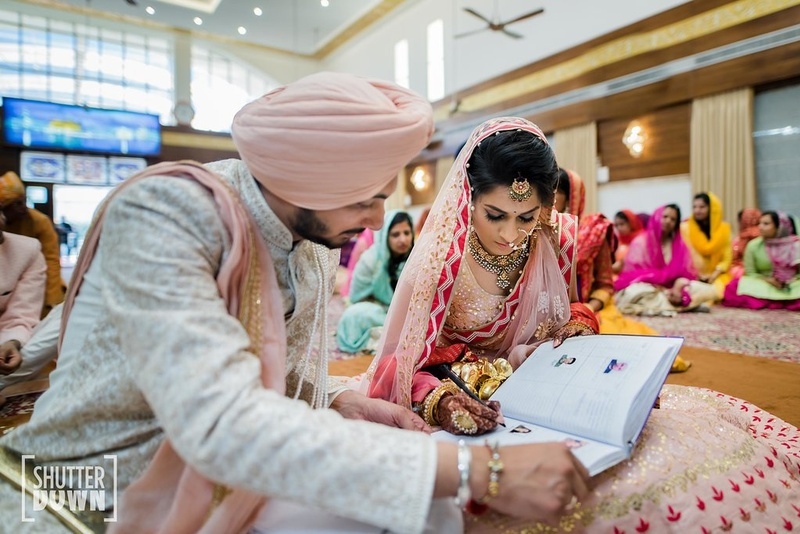 So when the families began talking about weddings, we knew what was next for us in our relationship"
What started off as a happy surprise has culminated into one of the most estatic weddings we've seen! 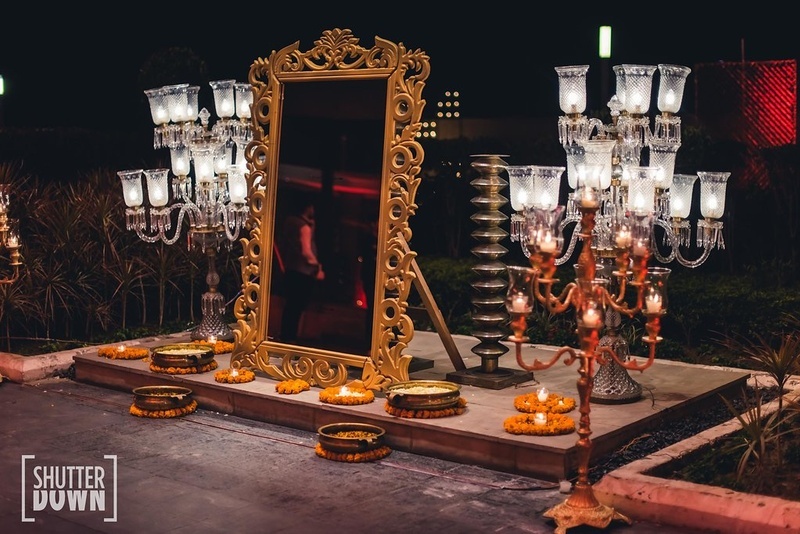 The mehndi function at Hyatt Regency, Chandigarh was as gorgeous as can be. 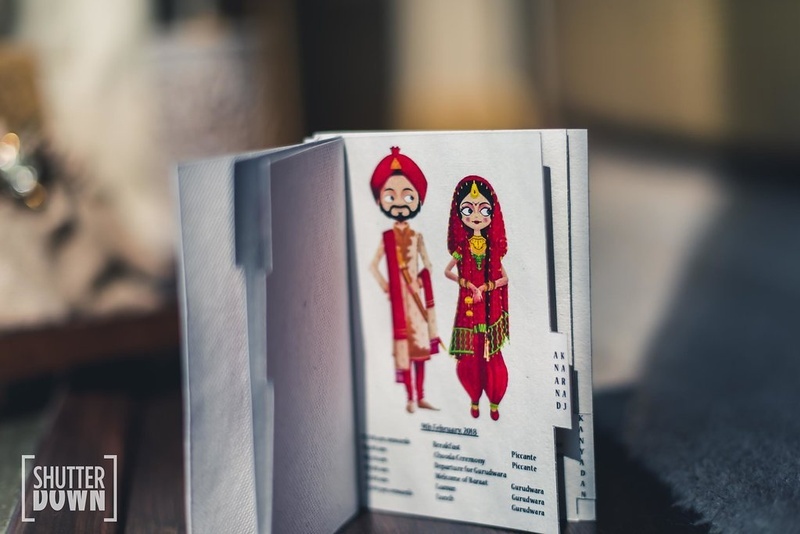 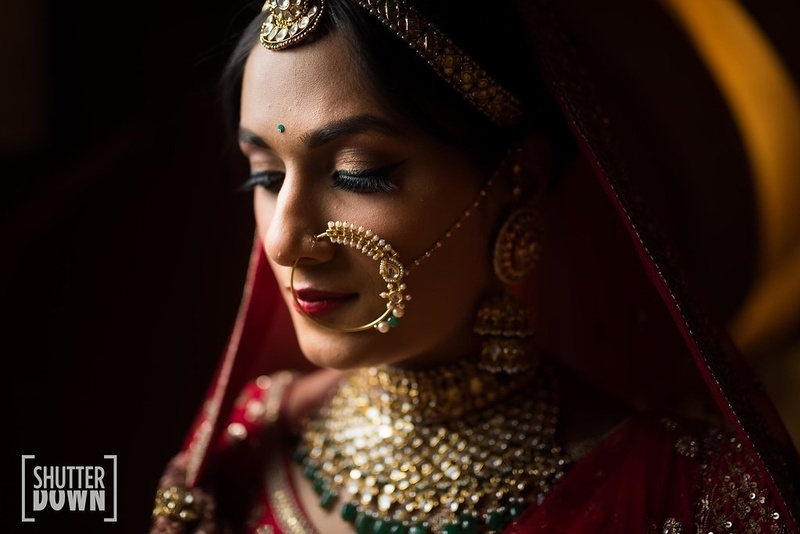 We, personally, are absolutely in love with the small ways that the couple focused on details such as illustrations, theme-ing the bridal lehenga after the Bengali descent of the bride but still keeping it moder. 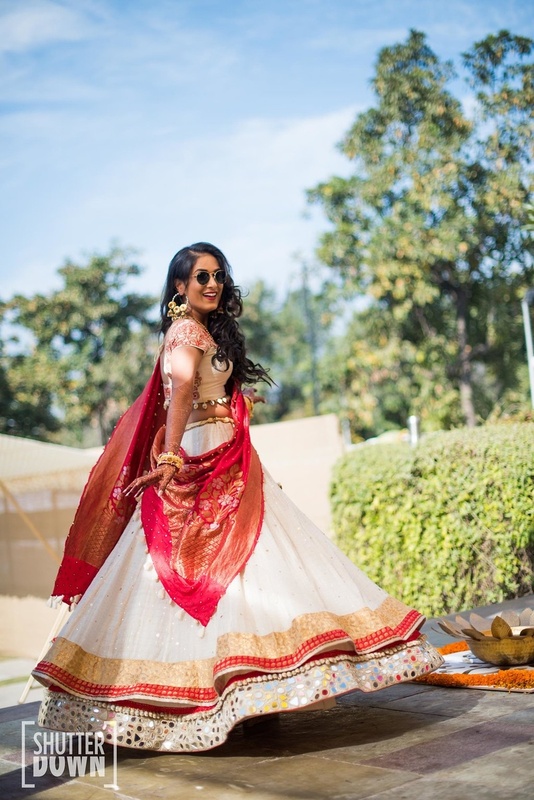 Who knew a lawyer would be so great at designing her own lehenga! 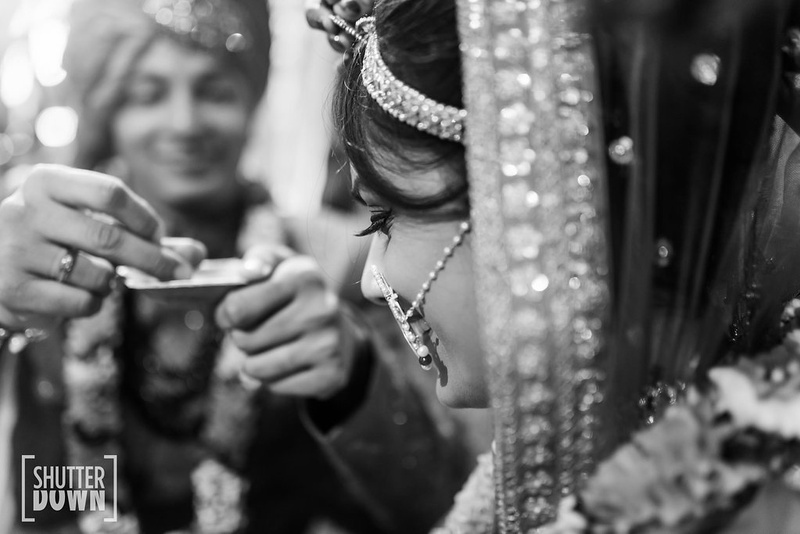 ShutterDown's attention to detail and timing of candid moments is impeccable, creating memories the family will share. 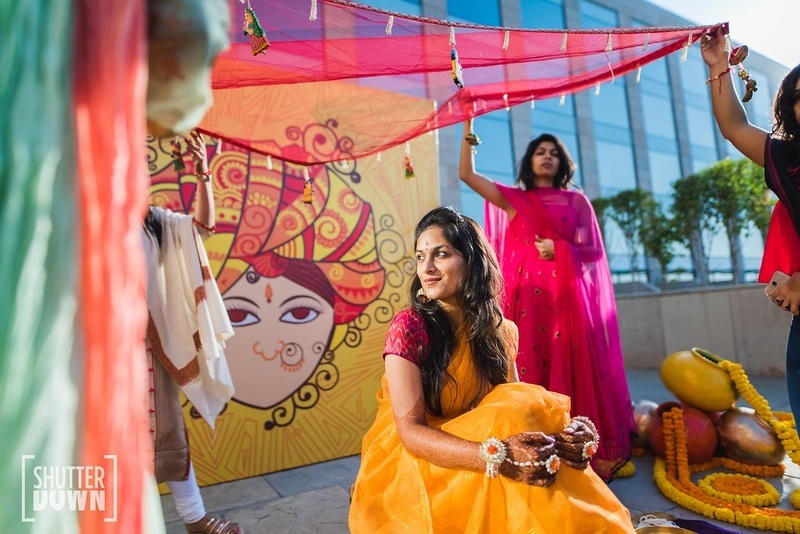 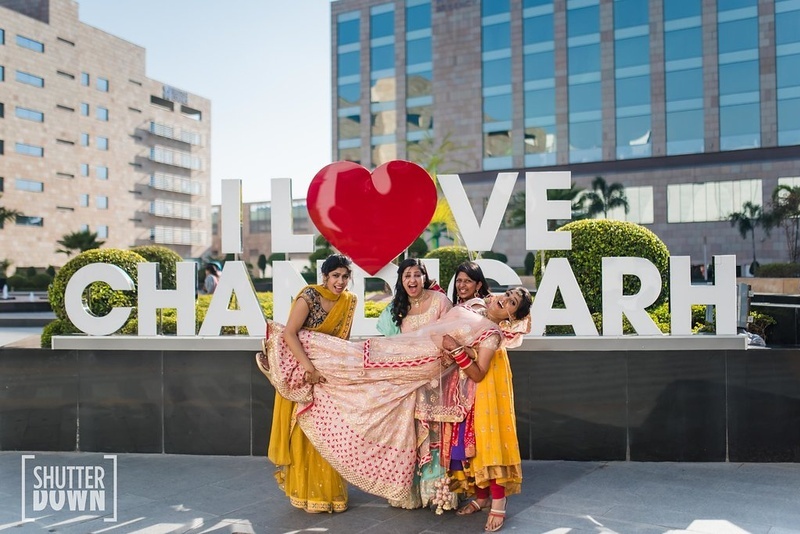 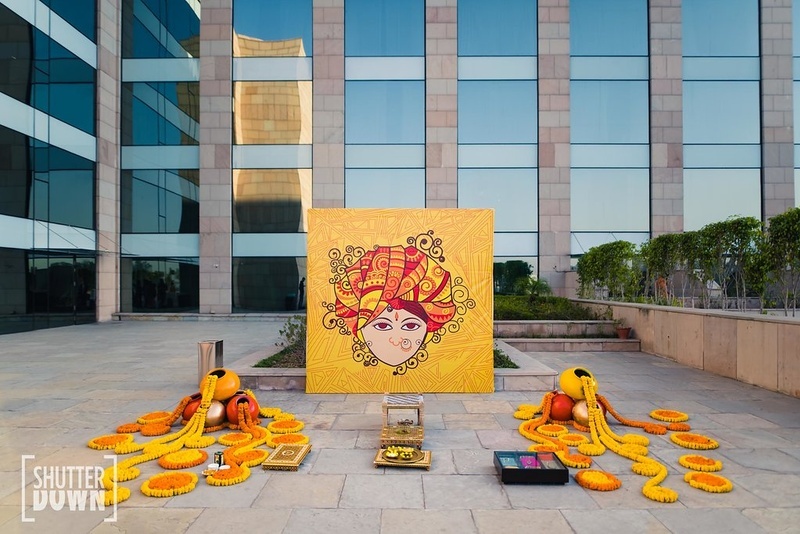 From making art cool, to what was obviously a fun mehndi function at Hyatt Regency, Chandigarh everything about this event seems like the go to trend for summer weddings this year. 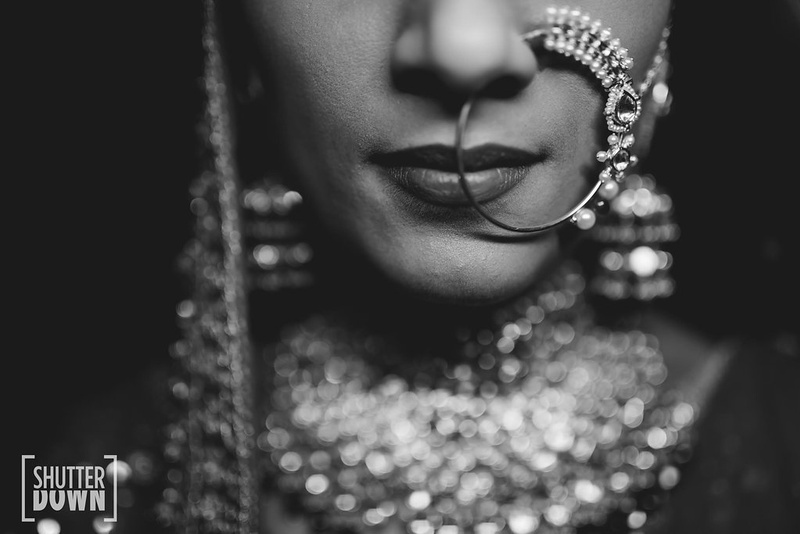 Brides, are you listening? 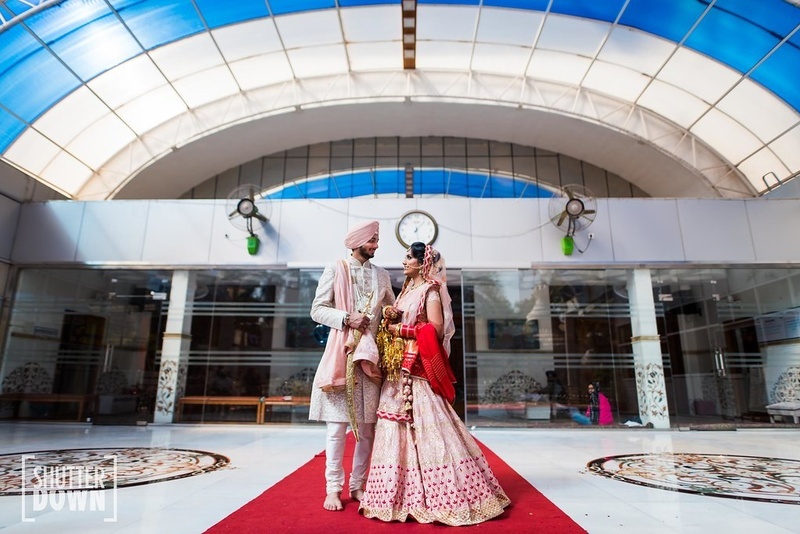 Bride and groom pose together outside the gurudwara post their wedding!